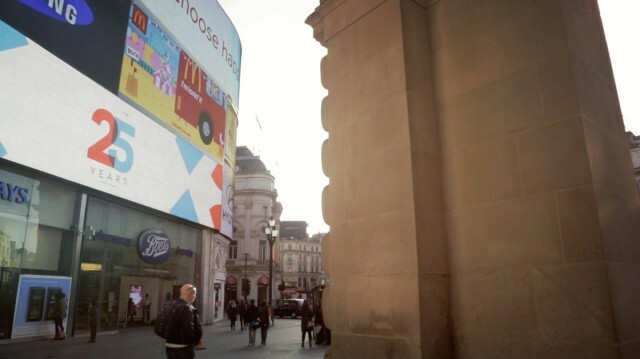 It’s not often that we get to see our work displayed at the most iconic advertising space in the UK, and arguably the most iconic advertising space in the World – Piccadilly Circus. It was a real honour to help Manning Gottlieb OMD celebrate their 25th birthday in style, with a massive digital display at One Piccadilly Circus. 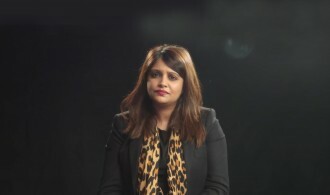 We always love working with the team at MGOMD and seeing some of the inner workings of how they push the barriers of conventional marketing to challenge their clients and industry with new ideas; and so being involved in their celebrations was a privilege. 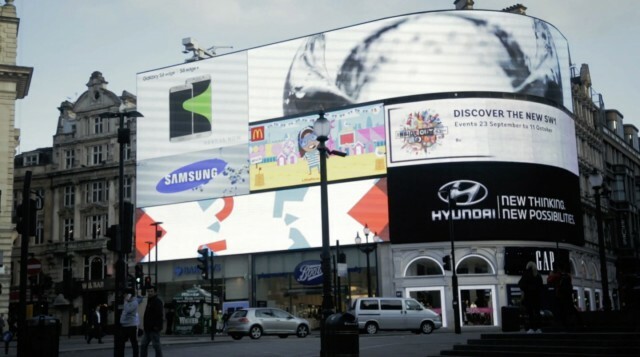 Piccadilly Circus is renowned for featuring adverts for McDonalds, Coca-Cola and Samsung and our challenge was to steal some of the global brands limelight to kick off the celebrations in style and to get the staff at MGOMD in the mood to party. The logo, beautiful in its design, with a simple but highly contrasting colour scheme – red and blue on a white background was our hero. The numbers ’25’ overlapped slightly to create a negative space and so our design team broke down the elements that made up the logo to develop a visual kaleidoscope of shapes that come together to reveal the big anniversary – playing on overlapping shapes. This maintained the elegance of the logo itself. The end result is a grown up, sophisticated and eye catching, reveal of Manning Gottlieb OMD’s 25th anniversary. In addition to One Piccadilly we produced digital displays for the London Tube that were featured at Bond Street, Piccadilly Circus, and Oxford Circus tube stations. This gave the Manning Gottlieb staff a chance see it on their commute but also to the 200k people* who went through these stations. A real achievement to mark an incredible 25 years!